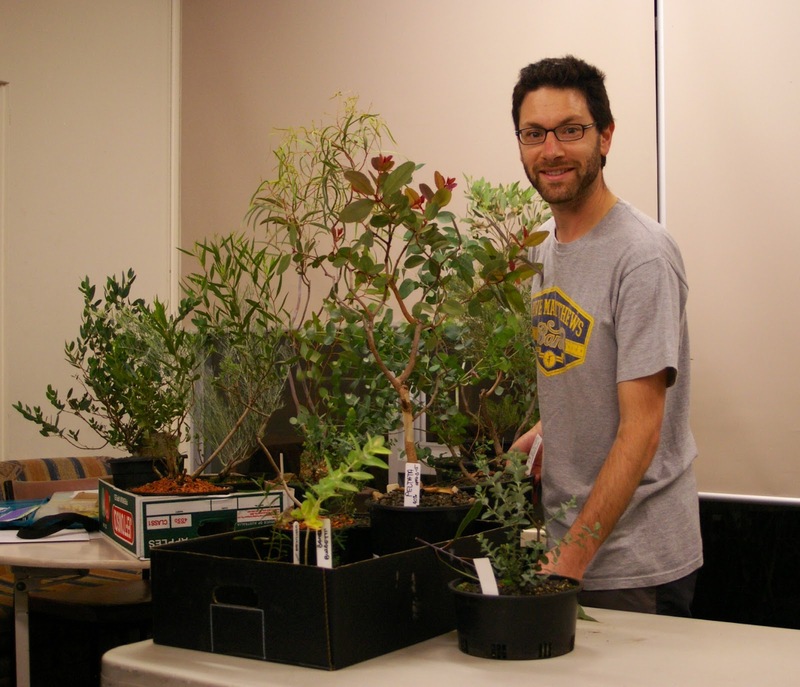 The May club meeting featured a great presentation by club member, Jason Caruso, on the possibilities of a wide range of eucalypt species.? Jason spoke on the the evolution of the genus, the variations across the genus and the different groupings of eucalypts andtheir particular characteristics, and highlighted a number of species which could be special possibilities for bonsai. He also covered propagation of the various species, and some of the key features and challenges in developing different species as bonsai. Species featured included Euc. gillii, Euc. synandra, Euc. erythronema, Euc. sepulcralis, Euc. tetraptera, Euc. formanii, Euc. kruseana, Euc. pluricaulis, Euc. orbifolia x websteriana, Euc. vernicosa, and also gave a special longing mention to Corymbia apparrernya (Ghost Gum)and Euc. brachyandra (from cliff faces in northern Australia).